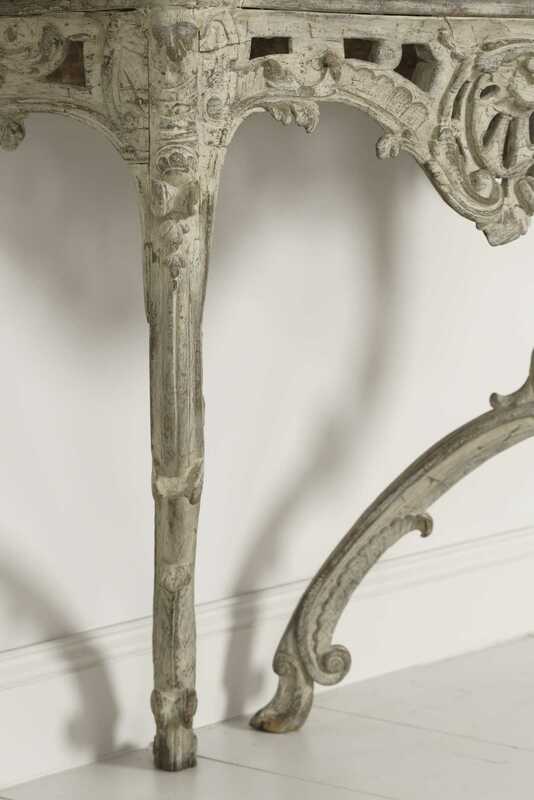 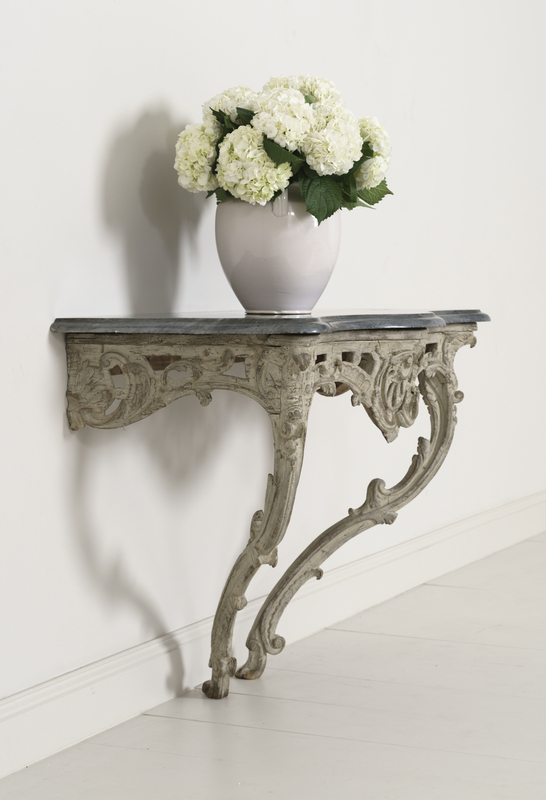 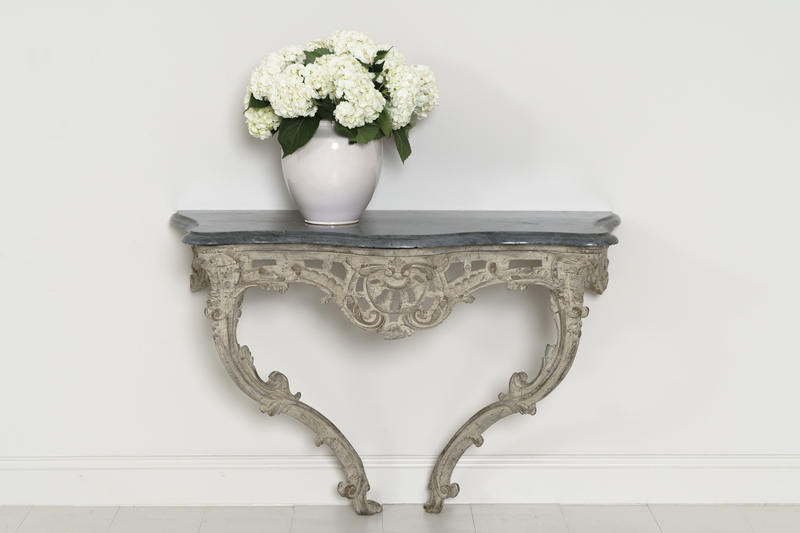 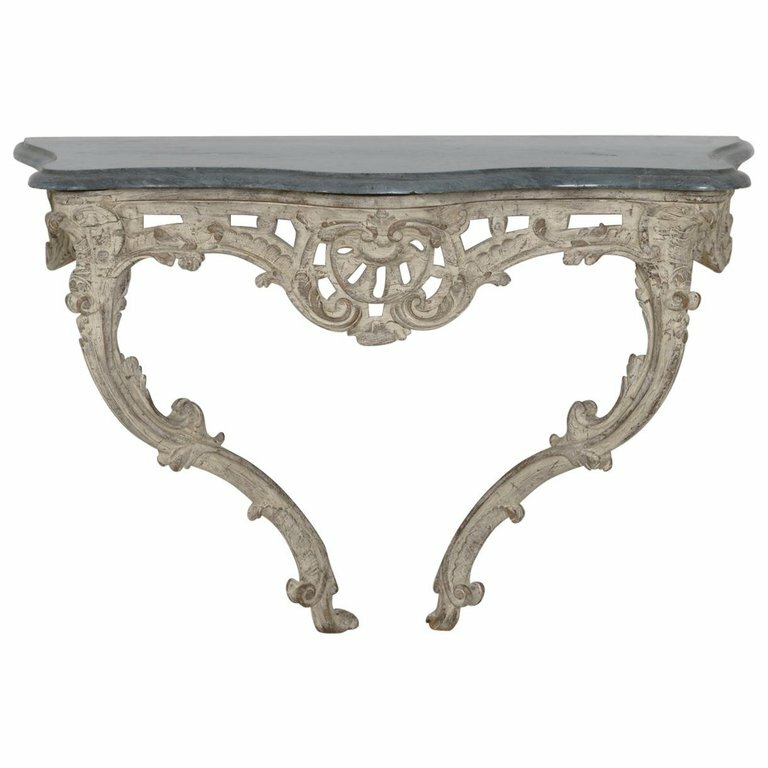 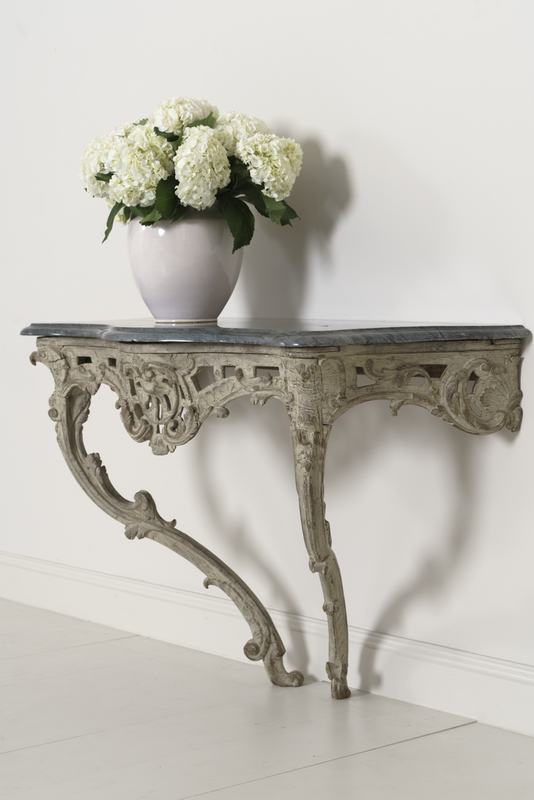 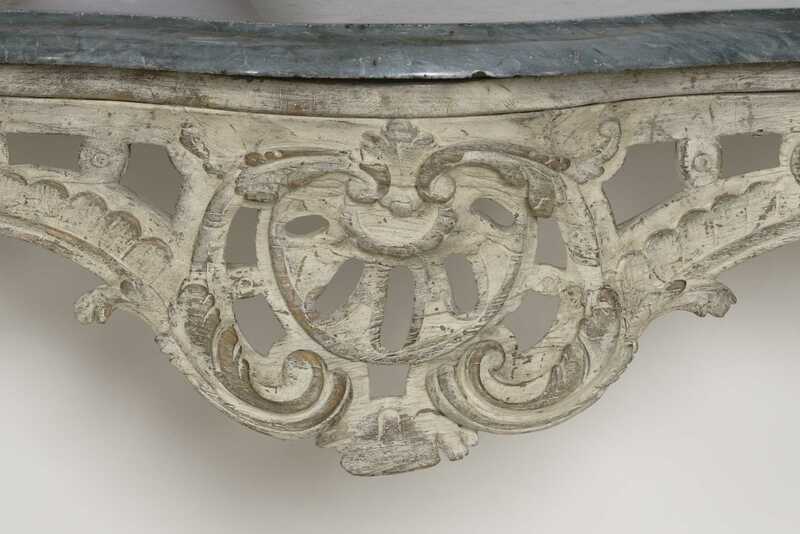 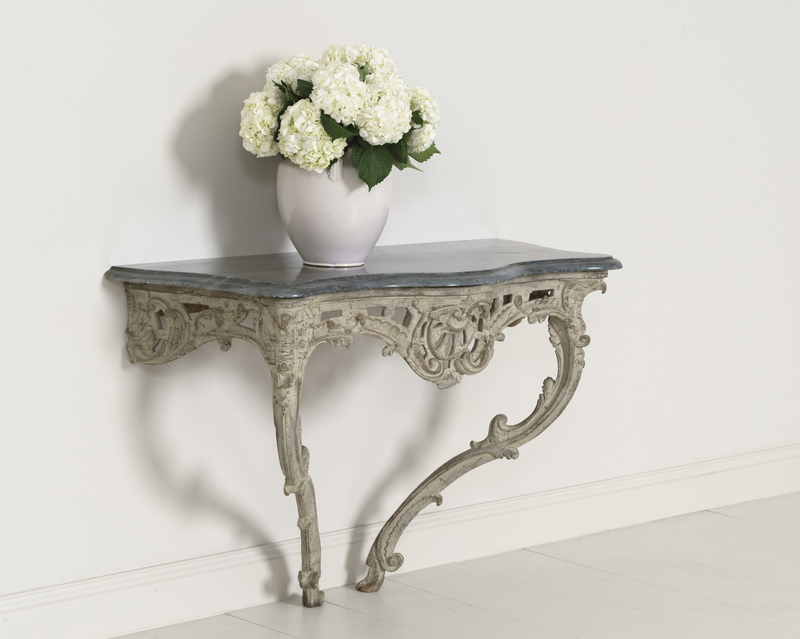 18th Century French Louis XV Period Console Table with Blue Turquin Marble Top | Maison & Co.
A large 18th century French console table from the Louis XV period in original paint. 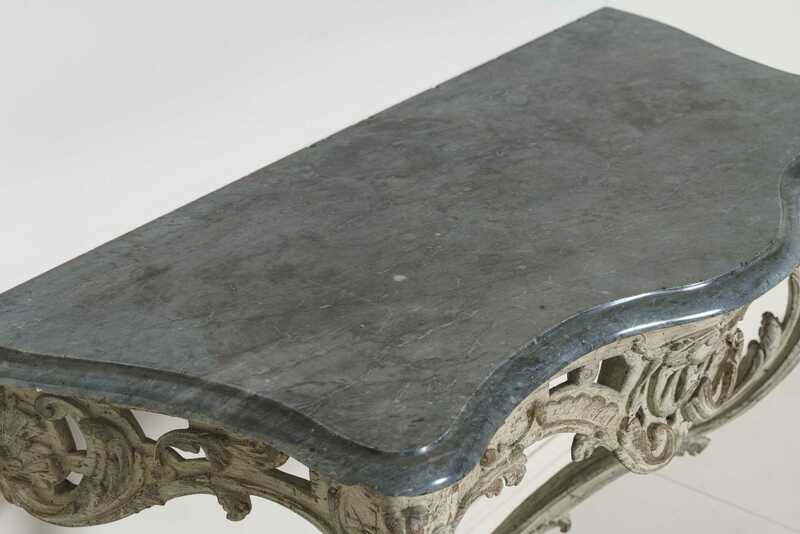 The original blue turquin marble top is beveled and contoured to complement the base. 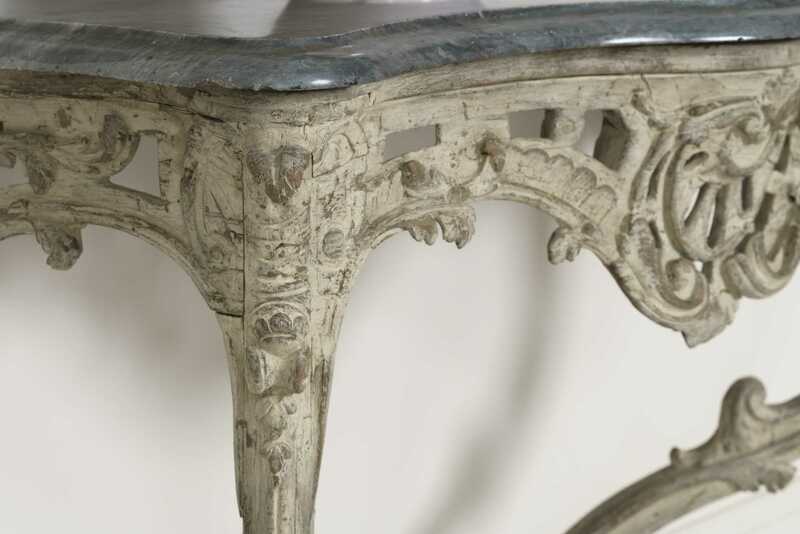 The frieze is scroll-carved and pierced. 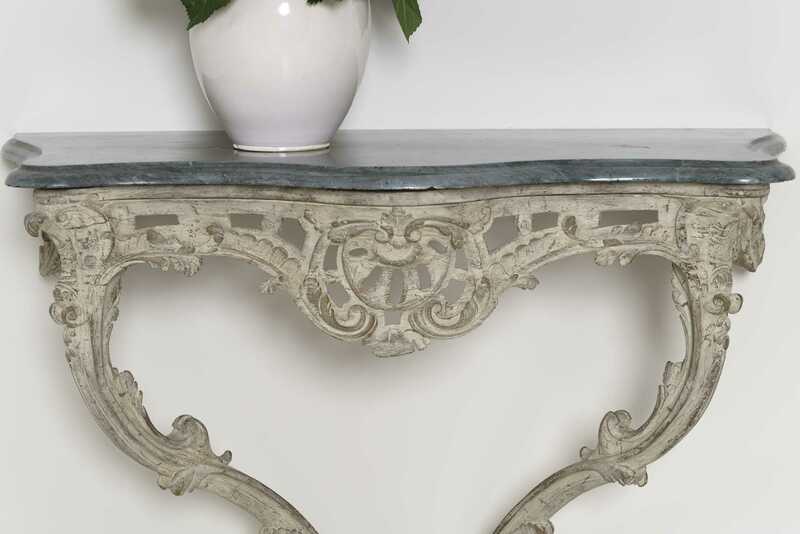 A Maison & Co. favorite!